Go from day to night in this stylish plaid. 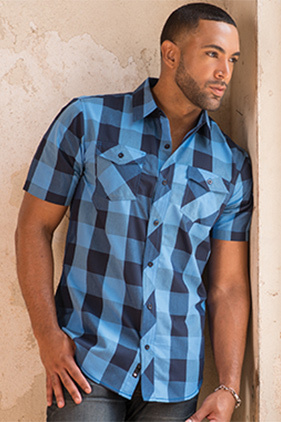 55% cotton/45% polyester, 2.8 ounce short sleeve woven plaid shirt. Two chest pockets with button flaps. Hem sleeves. Chain stitched bottom hem. Modern fit.